During the summer of 1986, two Marines are on trial for complicity in the death of a fellow Marine at Guantanamo Bay, Cuba. The Navy lawyer, a callow young man more interested in softball games than the case, expects a plea bargain and a cover up of what really happened. 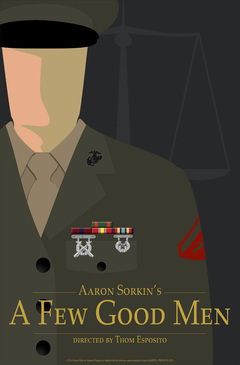 Prodded by a female member of his defense team, the lawyer eventually makes a valiant effort to defend his clients and, in so doing, puts the military mentality and the Marine code of honor on trial.